Davis, California—a university town with more than 70,000 residents—had only 13 vacant market-rate apartments to rent as of December 2017. That’s a vacancy rate of 0.2 percent, according to an annual University of California-Davis study of the housing market. The study puts the average rent for a three-bedroom unit in 2017 at $2,388. Davis is in Yolo County, which had a 2017 area median income of $76,900 for a four-person household. Using the 30 percent of-income affordability standard, a median-income family of four living in an average market-rate apartment in Davis is paying $5,592 per year more than they can afford. There is, however, one place in Davis where a median-income family of four is paying much less: Dos Pinos Housing Cooperative, the only limited-equity housing co-op in the city. A limited-equity co-op (LEHC) is designed to preserve affordability for low- and moderate-income households. 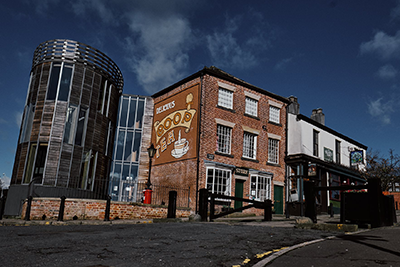 Members purchase shares in the co-op that entitle them to live in one of the units and have a vote in the governance and management of the building. Units have restricted resale values and many have income limits for potential members, who pay monthly fees, or carrying charges, to cover their share of the co-op’s expenses. The monthly carrying charges to live in one of the 26 three-bedroom apartments in the Dos Pinos Housing co-op, as of December 2017, were $1,165. That’s a saving of $14,676 per year over the average market rent. A household in one of the 28 two-bedroom apartments had annual savings of $9,036, while a household in one of the six one-bedroom apartments had annual savings of $7,452. Buying a co-op is more affordable than buying a house in the city, where the average asking price of a single-family home is $632,000. The market is so hot that most sales are paid in cash and, if not, a down payment of at least 20 percent ($120,000 minimum) is required. A median-income family of four in Davis cannot purchase the average home on the market. I helped create and finance the Dos Pinos Co-op and have been studying cost of living in the region since 1985. It wasn’t always the most affordable place to live in town. In 1985, the co-op started at a monthly cost above the area’s average rent because it was newly built. However, the cost of buying shares in the co-op for a three-bedroom unit at that time was $4,880, which was much less than buying a house in Davis, which at the time was around $150,000. Many members wanted to live in a co-op community, as well. Because no one has pocketed the increased value of the building and land (including individual co-op members), 30 years later the co-op’s monthly costs are 50 percent lower than the average market rate apartment. The co-op has not imposed income limits on who can live there, and it has a three-year closed wait list. For the past two decades, Davis’ hot housing market has had an extremely low rental vacancy rate. This lack of supply has pushed up rental rates. The co-op, on the other hand, has shown that it has substantially increased affordability. In 2017, a family of four needed to earn only 59 percent of the area median income to afford a three-bedroom apartment at the co-op—down from 111 percent in 1985. Over time, families need less and less income to afford to live at Dos Pinos. The co-op requires people moving in to have a monthly household gross income that is equal to or greater than 2.5 times the monthly assessment. By this standard, a very-low-income family of four in Yolo County is eligible to move into the co-op. There is no other home ownership model in Yolo County affordable to that same family. Households moving in recently have been of mixed incomes: 12.5 percent very low income, 25 percent low income, and 25 percent moderate income. The co-op has received no subsidy at any time in its history. It bought the land at market value and erected the buildings at market value. Annually the co-op pays more than $30,000 in local property taxes, just like the market-rate apartment complex across the road. No co-op apartment at Dos Pinos has ever been foreclosed and, in 32 years, only one member has been evicted. The vacancy rate is always zero and the vacancy reserve is never used. Since 1986, there has always been a waiting list for apartments at the co-op. 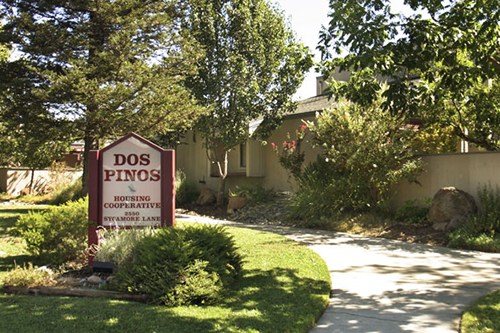 Dos Pinos holds an additional appeal for families. Because state law requires owner occupancy in an LEHC, all households living at Dos Pinos must be permanent Davis residents. Therefore, there are no student households at Dos Pinos. Many families would prefer family-oriented complexes, but if you are renting, that is not an option in Davis, outside of the co-op. Fewer than 50 apartment-type limited-equity housing co-ops have been developed in California under the LEHC laws, mostly between 1980 and 1990, when the National Cooperative Bank (NCB) was able to partner with programs of the state of California that also supported the development of limited-equity co-op housing. After 1990, most jurisdictions and nonprofits in California moved to use their limited resources to develop affordable rental housing with tax credits as the key financing tool. The normal limited-equity housing cooperative is not eligible to use tax credits so interest petered out. A unique aspect of an LEHC is that the appreciated value of the housing is all retained in the co-op and the community. When a member leaves, the only economic transaction is what was initially paid for the unit plus interest earned. The balance sheet of the co-op is unaffected economically by any change in membership, and all the economic gain in value stays in the co-op. While this might seem like a limit on asset accumulation for co-op members, remember that almost all of the 10,000-plus families living in a market-rental apartment in Davis are not building assets, in housing equity or outside of it. Meanwhile, for 2017 a co-op member’s annual return on share investment could be considered to be 52 percent, if you include cost savings compared to other available housing options in Davis. A member joining on January 1, 2017, would have invested in a refundable share of $33,000. The savings in monthly costs compared to market rate would be $14,676, and the 3.25 percent interest earned on their share (for 2017) would come to $1,072. This amounts to $15,748, or 52 percent of their $33,000 investment. If market rental prices continue to rise faster than co-op costs, this return could get even higher. 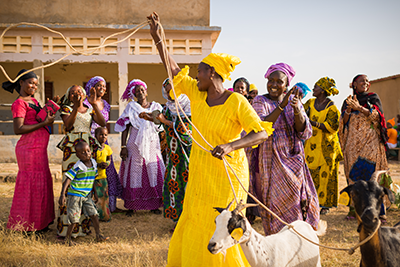 The co-op as an ownership model also brings savings in transaction costs. As there is no change in the building mortgage, only a transfer of ownership shares, there are no real estate transaction costs for the member when joining or leaving. Transaction costs for condo purchases in Davis are more than $10,000, and much higher for single-family homes. Given the economic return over time, an LEHC could also be a good thing for groups such as teacher associations and unions to bargain for. A housing co-op for teachers would give educators far more economic gain per year than could be gained from salary increases, while demanding less ongoing input from the school district. An LEHC could even help recruit teachers and staff. One affordable co-op in one high-rent city in 30 years does not a movement make. However, of the home ownership options for the “missing middle,” the LEHC has tremendous potential. An LEHC would work well for many types of organizations that might have land to set aside for a cooperative community, and funds to help lower-income families purchase the co-op share, such as local, state, and other government agencies; unions; churches; veterans groups; and other affinity groups. Given the massive need, there ought to be many more limited-equity housing cooperatives like Dos Pinos creating “wealth generating” housing for the forgotten. —Author and historian David J. Thompson has worked for the national cooperative organizations of the U.S. Britain and Japan as well as the United Nations. He is currently a principal at Neighborhood Partners, LLC and president of the Twin Pines Cooperative Foundation, the single-largest co-op funder of U.S. cooperative development organizations. He was inducted into the Cooperative Hall of Fame in 2010.